Problems with nasty, big pores? Well, say hello to Caolion Pore Original Pack, a calming and cooling wash-off mask that minimizes pores. I was skeptical about this product at first since I have tried a lot of pore minimizing products and though some works, the effect is only temporary. Housed in a dark green jar (almost black) with yellow print, the packaging is simple but uniquely adorable. The box says "Where is Pore?" on the top flap and this really gets a consumer's attention! Great marketing strategy! Sadly, there's no English translations for product information, ingredients and use but the inside of the box has an illustration of how to use the product - though I have to do a bit of a guessing game there still. The lid of the jar also says "Where is Pore?" in a big yellow font, now I'm really curious as to what this product can do to my face. Other ingredients include: Macadamia seed oil, peppermint leaf extracts, lecithin, Cellulose Gum, bentonite, monmorilonite, carboxymethyl chitin, menthol. For those of you who are concerned with parabens and other ingredients that are bad for the skin, you will be happy as this product has NO additives of 7 major chemical substances: Paraben, alcohol, synthetic perfume, artificial coloring, mineral oil, benzophenon, noncomedogenic. The product is really very clay-like. It is thick and I found it a bit hard to apply evenly on the face. It has a soft peppermint smell and it indeed has a minty, cooling effect on the skin which is really relaxing and just reminds me so much of a spa facial treatment without the repercussions of an empty wallet. To use the mask, apply it on a clean face, I suggest using it after a thorough cleansing and rinsing with warm water so that the pores are open. Next, apply evenly all over the face, or on the areas you need it. Let it dry for about 15 minutes. In comparison to the Tony Moly Egg Pore Tightening Mask, it doesn't feel as tight when it dries. I like how you still can move your facial muscles a little bit and it isn't irritating at all. Wash off with warm water, while gently massaging the face and pat dry with a clean towel. I didn't really notice a huge difference by just looking at the mirror after my face mask treatment, however I was fairly surprised at how greatly reduced my pores has become after checking the photos on my camera. As you can see below, before I even put on the mask, my nose was a bit red and I can definitely see a lot of gunk in there. Sorry for the nastiness, but it is indeed not a very pleasant sight to behold. 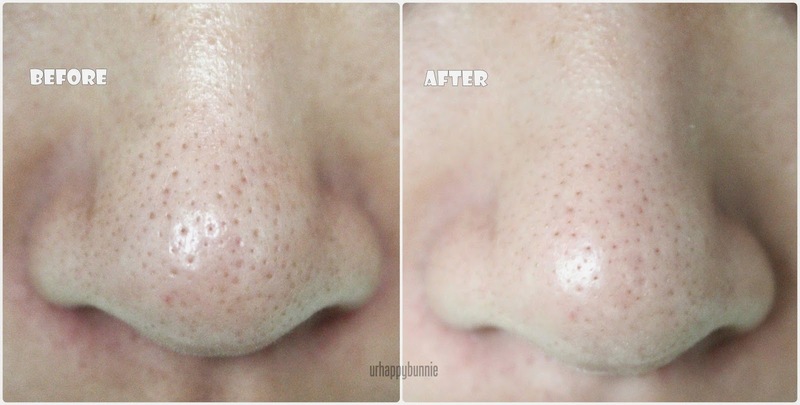 Anyway, taking a look at the after photo, you can see how minimized and clear those pores have become. My skin was slightly tight and supple, and surprisingly moisturized and refreshed. The redness was fairly gone and suffice it to say, I was very happy with the results. With such great results, I'm left wondering if this will really help keep my pores minimized until the long run. So far, my review will end with me highly recommending this product. 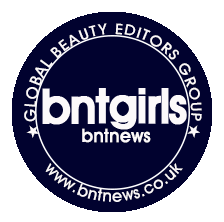 It really pleased me to have such amazing results after one use and I will update you readers on how well it will be working with my pores in the weeks and probably months to come. I have used up the whole jar and it only took 5 applications for the whole face for me to finish the entire jar. If I kept just using it on my nose then it would probably last a lot longer. As for the results, the excitement on reduced pores was short lived after the 3rd use. I couldn't see any difference between before and after use photos anymore. The minimized pore effect lasted for about 4 days after each use and then I noticed that they just went back to their original size - large. Sad to say but the effect of this product is not long lasting. I need to find a better pore minimizer. I hope you girls have better recommendations. Hi Elina! Oh yes the Tony Moly mask is much cheaper but I think the Caolion is more effective. I hope you do try this one out in the future! WOW your before + after picture looks amazing!